ABeam Consulting is a top Asian Consulting firm with over 5,000 Consultants in territories across the world. We cover various industries, offering End-to-End Service to support our clients to realize their Business Transformation. We are the Number #1 SAP Partner in Asia and one of the largest Consulting firms in Thailand. 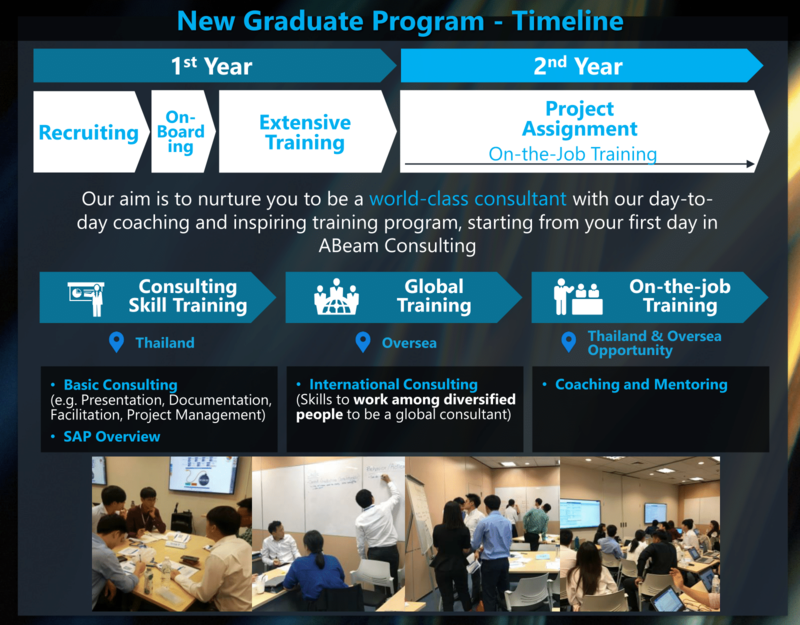 In Thailand, ABeam Consulting started in 2005 and has grown into a consulting firm with over 200 members. We have served over 120 clients and have been recognized as Real Partner for those clients both international and Thai top companies who desire to grow in Asia and grow from Asia. Your everyday life is to help clients solve the various problems that they deal with. Not only solving all kinds of problems, but you are always thinking of creating new ways for them to do business. You're the force that work behind the scenes to support both clients and the society. At ABeam, you will be able to work in a friendly, highly creative, and fast moving working environment, where you can be motivated and working happily. We help you to develop your career successfully with a well-crafted training program, on-the-job training and compensation based on result-oriented culture, which is tightly linked to clients' real success as a real partner. It is a program that exclusively offers to fresh graduates who strive for challenges and working in dynamic environment. Within ABeam we pride ourselves on our 1st class graduate training program – which will help you learn important framework and logical thinking skills – to use on live projects both in Thailand and Overseas. As Graduate Analyst, you will be trained to be able to design, deliver and implement cutting edge solutions for our clients, in a way that is both positive and lasting. At ABeam, we place great importance on our people and fully help them to be a success as world class consultants. You will have an opportunity for oversea assignment. If you have strong logical thinking and enjoy problem solving – this program is ideal for you ! 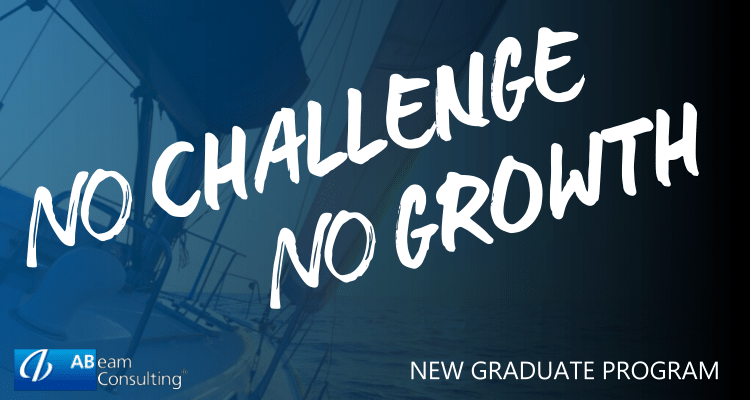 Let's get to know some of our Graduate Analysts !